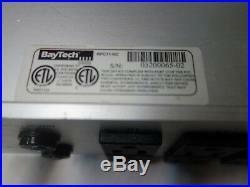 BayTech IIII 18-Outlets Remote Power Management Control RPC11-NC. 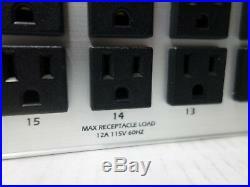 · The items listed are described as accurately as possible. 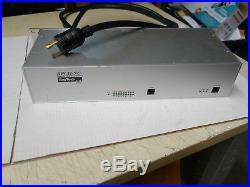 · If the item is advertised as non-working or AS-IS this means that we were unable to get it to work properly. 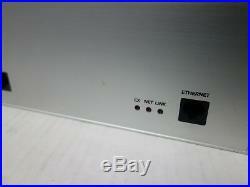 · Pictures are of the actual item. This means that we have tested the item or have sufficient confidence in its total reliability to warrant it from defects or errors that may occur between listing and receipt. All software are not refundable. We will assist you in providing any information needed. Some heavy items can be picked-up from our location. The item “BayTech IIII 18-Outlets Remote Power Management Control RPC11-NC” is in sale since Thursday, January 10, 2019. 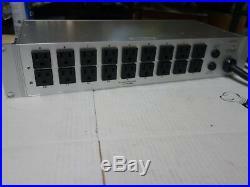 This item is in the category “Computers/Tablets & Networking\Power Protection, Distribution\Power Distribution Units”. The seller is “hannicinc” and is located in Brooklyn, New York. This item can be shipped to United States, Canada, United Kingdom, Denmark, Romania, Slovakia, Bulgaria, Czech republic, Finland, Hungary, Latvia, Lithuania, Malta, Estonia, Australia, Greece, Portugal, Cyprus, Slovenia, Japan, China, Sweden, South Korea, Indonesia, Taiwan, Belgium, France, Hong Kong, Ireland, Netherlands, Poland, Spain, Italy, Germany, Austria, Bahamas, Israel, New Zealand, Philippines, Singapore, Switzerland, Norway, Saudi arabia, Ukraine, United arab emirates, Qatar, Kuwait, Bahrain, Croatia, Malaysia, Uruguay, Montserrat, Turks and caicos islands, Bolivia, Egypt, Guadeloupe, Cayman islands, Luxembourg, Maldives, Paraguay.